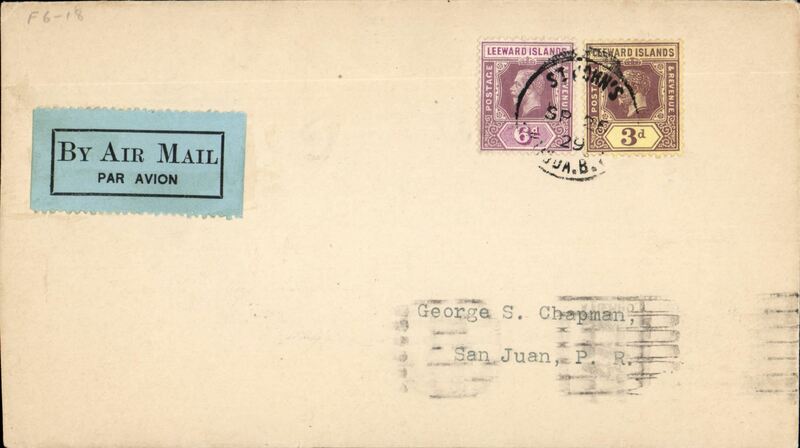 F/F St Johns, Antigua to Miami to St Thomas, V.I., bs 26/9, airmail cover franked 9d, three line cachet, Pan Am. 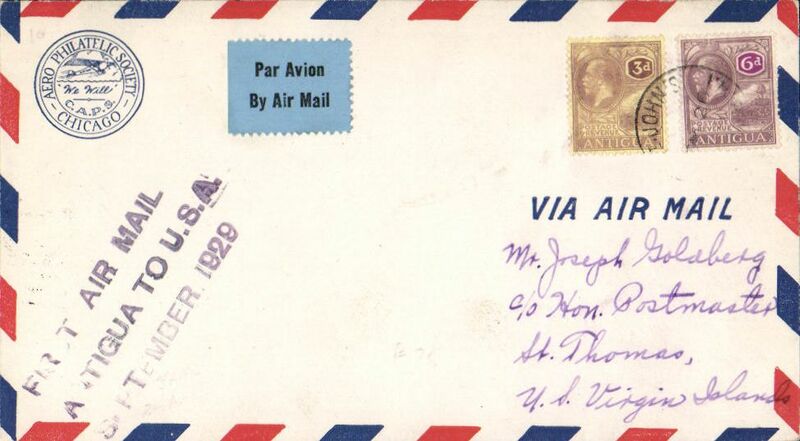 F/F St John's, Antigua to Miami, no arrival ds, airmail etiquette cover franked 1/4 1/2d, carried on the inaugural FAM 6 extension to Paramibo, Pan Am. 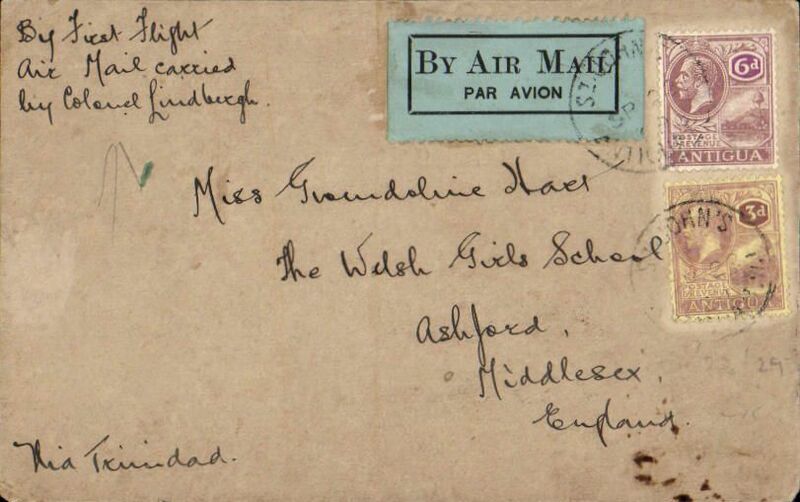 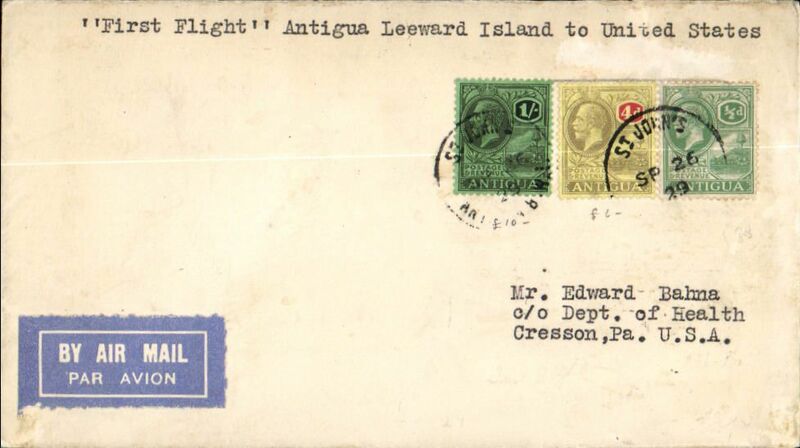 F/F St John's, Antigua to Miami, and on to New York, 5/10, plain cover franked 1/4 1/2d, canc St Lucia cds tying pale blue/black airmail etiquette, black three line "First Air Mail/Antigua to USA/September 1929", carried on the inaugural FAM 6 extension to Paramibo, Pan Am. 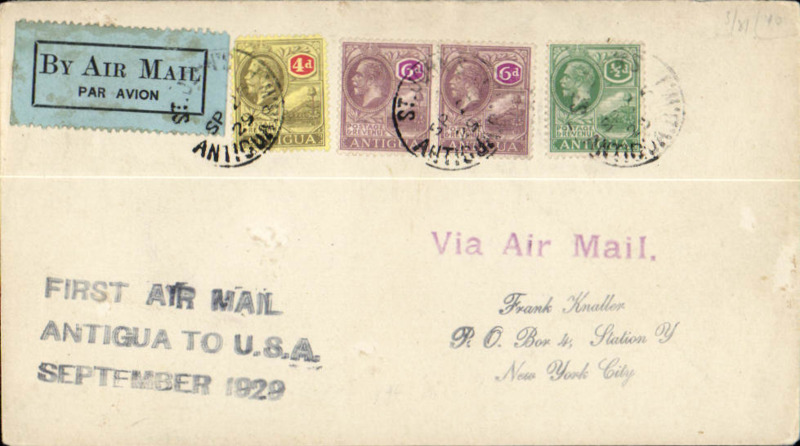 F/F FAM 6, St John's to San Juan, bs 26/9, plain cover franked Leeward Islands 3d & 6d, black on pale blue par avion etiquette, Pan Am.